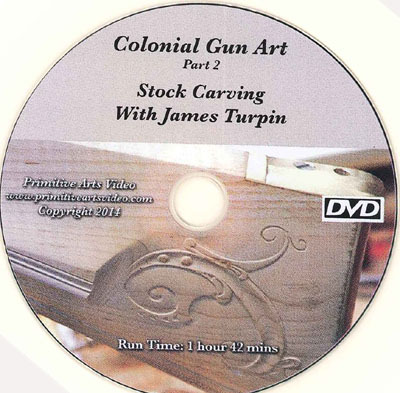 COLONIAL GUN ART PART 2, STOCK CARVING with JAMES TURPIN DVD. Run time 1 hour 42 minutes. The second volume of this series covers different types of carving used on early gun stocks. Mr. Turpin shows different tools, methods and the very important designs. Scrolls, leafs & vines are broken down to make the design concepts understandable.